The Wines that Make Ashland Famous! Buy one Case - Get One FREE! Join our Exclusive Connoisseur Club today. If you are looking for award-winning, affordably priced, ultra-premium wine, then look no further! Our winery has the distinction of being the only Oregon winery to have all of its wines highest rated in the state by Wine Spectator, including a "World's Best Merlot". Meet and talk with the owner who takes pride in exemplifying the most enjoyable, informative, educational, and friendly experience that a wine tasting room has to offer. We call the experience "An Adventure In Wine" that only Ashland Vineyards and Winery can provide. Group tours are always welcome by advance appointment. Our 120-acre estate vineyard and winery has been in business for over 18 years producing wine from over 10 varietals planted on south-facing hillside vineyards. Located in the southernmost and easternmost area of the Rogue Valley in southern Oregon, we make both Ashland Vineyards and upscale SHAKESPEARE™ brand wines from low-tonnage, premium-quality grapes from our own organically farmed estate vineyard. Our passion for great wine demands the best of ourselves, our craft, and our grapes. 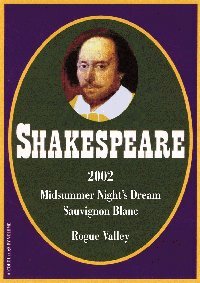 SHAKESPEARE™ wines, made in limited quantities, are available only to customers in our tasting room and on our website, and to Shakespeare festivals throughout the country. Come focus on the joy of wine tasting and the ultimate winemaking experience that is Ashland Vineyards and Winery. Taste "The Wines That Make Ashland Famous!" New! Join now for year-long buy-one-get-one FREE case savings. Copyright © 1994 - 2004 www.winenet.com and Ashland Vineyards and Winery. 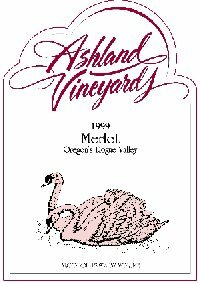 ™Ashland Vineyards and Winery, the Ashland Vineyards logo, "The Wines That Make Ashland Famous", "The Bordeaux of Oregon", "An Adventure In Wine", SHAKESPEARE, the SHAKESPEARE artwork, Shakespeare Series, Wine Complement Guide, Wine Questions & Answers, Shakespeare's Love, "Taste what makes Ashland famous! ", www.winenet.com are all trademarks of Ashland Vineyards and Winery. All Rights reserved.